To celebrate BCS Science-Fantasy Month 2, we’re giving away two signed copies of George R.R. Martin and Gardner Dozois’s hardback anthology Old Mars. Old Mars is an anthology of new F/SF stories about the classic science-fantasy sort of Mars, that had canals and dead alien cities and rayguns. It includes stories by Howard Waldrop, Michael Moorcock, and BCS author David D. Levine (“Liaisons Galantes: A Scientific Romance” in BCS #108; “Sun Magic, Earth Magic” in BCS #1), whose story about pirate Captain Kidd sailing from Earth to Mars got a Recommended review from Locus online. The last giveaway will take place Wed. Mar. 19 on the BCS Twitter feed @BCSmagazine. It will run from 2 PM EST until 6 PM EST. To enter, all you need to do is tweet what your favorite science-fantasy work of prose fiction is, and why. That will enter you in a random drawing for the book. It can be a short story or a novel, but it has to be a work of prose fiction (not a movie or game). The winner will be chosen from a random drawing of all entries. For the Full Rules, click on ‘Show Hidden Text’ at the end of this post. You must mention a prose fiction work that is arguably science-fantasy. Comments that do not mention some prose fiction work that’s not arguably science-fantasy will not enter you in the giveaway. You must tweet your tweet between 2PM Eastern Standard Time and 6PM Eastern Standard Time on Wed. Mar. 19. Any tweets posted before or after that will not be eligible. You must tweet your tweet from a a valid Twitter account (otherwise we won’t be able to contact you if you win). BCS will conduct the random drawing from all eligible entries. 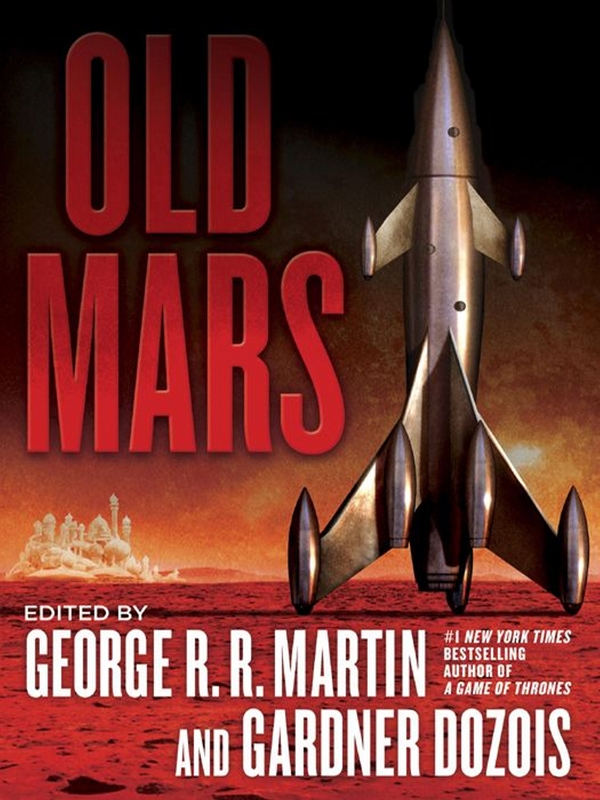 The signed copy of Old Mars will be mailed to the winner.